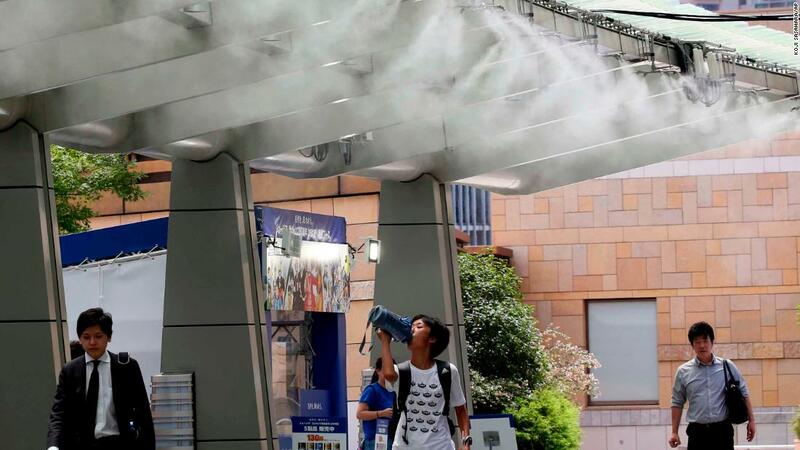 Tokyo (CNN) Dozens of people have died across Japan as the country continues to swelter under scorching summer temperatures. 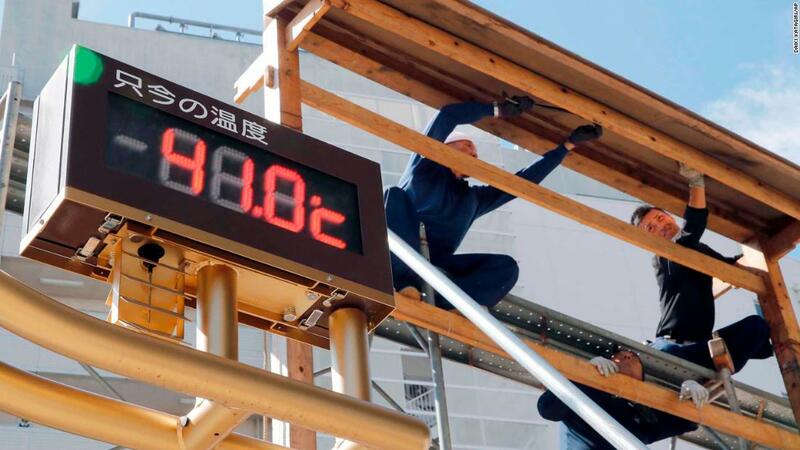 In nearby Kumagaya, the mercury rose to 41.1 degrees (105.98F), the highest ever on record in Japan, according to the Japan Meteorological Agency, almost 12 degrees hotter than average temperatures at this time of year. The Tokyo 2020 Summer Olympics are due to start two years on Tuesday. The authorities have forecast extreme high temperatures — exceeding 35C (95F) — for most of Honshu, Shikoku and Kyushu islands, with northerly Hokkaido the only one of the country’s four main islands to escape the scorching heat. “Potential for heat illness is higher than usual,” the agency said in a statement, adding that people should “take appropriate measures,” including drinking lots of water, staying away from direct sunlight and using air conditioners. According to AccuWeather analyst Joel N. Myers, the death toll is “likely already in the hundreds despite the official toll of somewhat more than two dozen,” and may rise beyond that. “The elderly and those with pre-existent conditions, such as asthma and heart failure, are likely to face declining health due to exacerbation of their conditions due to weather,” he said in a statement. According to Myers, in parts of Japan which do not often experience high temperatures, air conditioning is less prevalent, meaning people do not have cool locations to go for relief. A government survey published last year found only around 42% of public elementary and middle schools had air conditioning, and most apartment buildings do not have centralized climate control systems. Cultural sensitivity over wastefulness has harbored a general apathy towards air conditioning over the years, which has been further fueled by environmental concerns and a government led “Cool Biz” campaign which urged businesses to set thermostats at 28C (82.4F) to avoid wasting energy. Electricity shortages triggered by the 2011 Fukushima nuclear disaster also led to calls to reduce or limit AC usage. 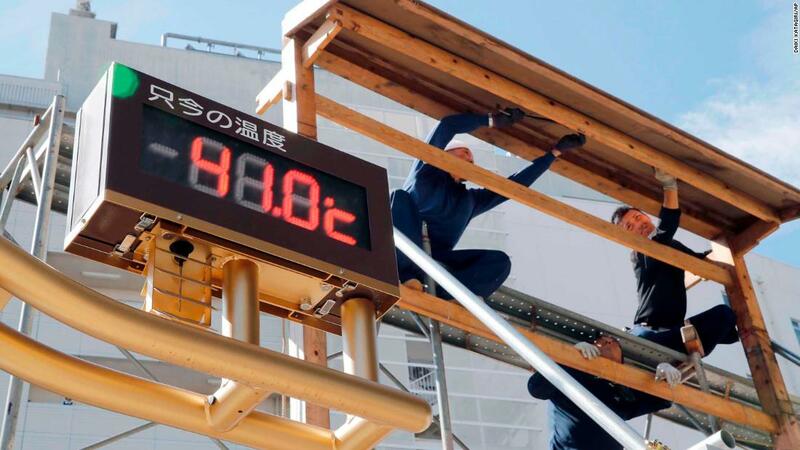 “It used to be said that keeping air conditioning on throughout the night was not good for your health, but we keep it on all the time this year,” said Kenichiro Maeda, a manufacturing worker in Tokyo. Last month was the fifth hottest June on record, according to the US National Oceanic and Atmospheric Administration. All 10 warmest Junes have occurred since 2005, with the hottest ever in 2016. Globally, the average land and ocean surface temperature for the first three months of the year was the sixth highest such period since global records began in 1880. Much of the northern hemisphere has been experiencing a scorching summer characterized by heatwaves and extreme weather. Asia has been particularly hard hit. 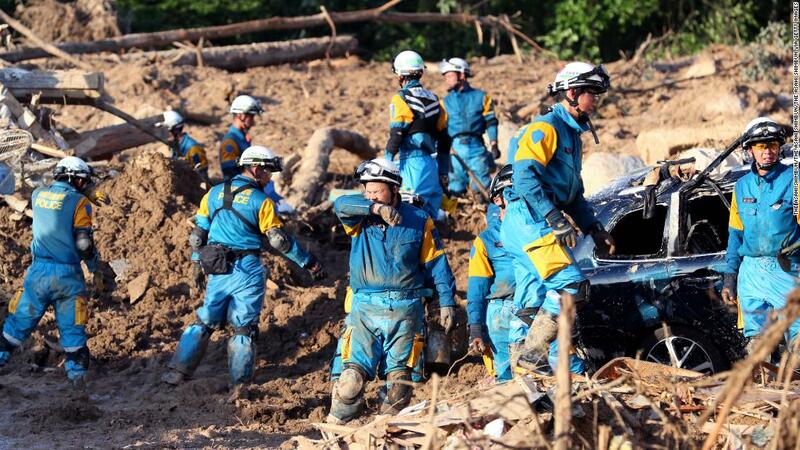 At least 21 people died as a result of flash flooding this month, and more than 190,000 people were relocated in and around Shanghai, where Tropical Storm Ampil is striking the east coast of China. Hundreds of thousands have also been evacuated in the Philippines, with monsoon rains exacerbated by multiple storms, causing flooding and other dangers. Japan’s heatwave comes after the country experienced some of the worst flooding in recent years when a unique set of weather conditions led to a massive amount of rain pummeling an area not prepared for it. Volunteers assisting in recovery efforts from the floods are increasingly experiencing difficulties and delays due to the extreme heat. She said she was concerned about her dog, saying it was impossible to walk her after 6 a.m. because it was too hot and left the animal exhausted. “I worry about my child. In the past, parents encouraged their children to play outside, not stay home all the time, but now we say don’t play outside during the day time,” he added.